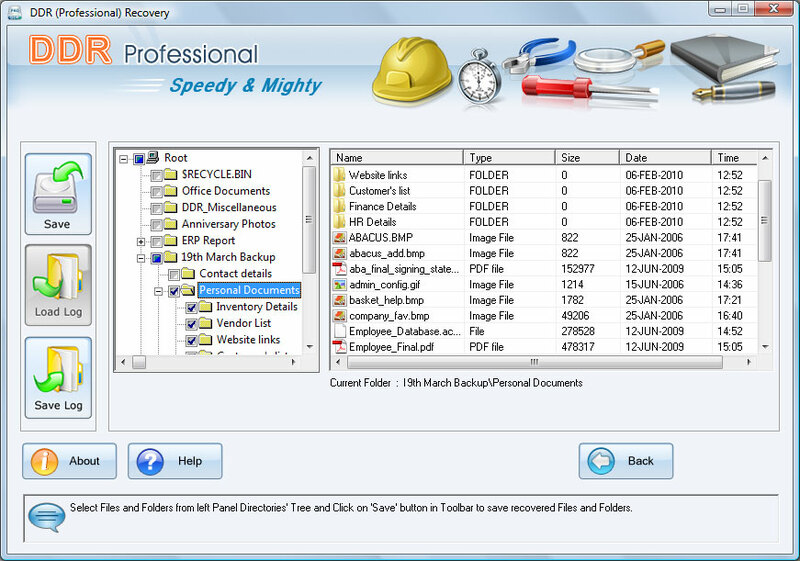 Fast and easy to use DDR Professional Recovery provides best way to recover files from hard disk partitions as well as from USB media drives (Pen drive, Digital camera, Memory card, Memory stick and Mobile Phones and similar devices) that have been lost due to accidental deletion, disk formats, virus attacks or even if data no longer exist in the disk. Software works as a recovery specialist in all disastrous data loss situations and proves to be helping hand for home users as well as business professionals to get back data in easiest way. Software is compatible with all Windows Operating system including Windows 7, Windows XP, Windows Vista, Windows Server 2008, Windows Server 2003 and Windows Server 2010. Software offers best recovery results even if you have lost data from storage devices operating on Linux, Mac OS X, Apple Macintosh Operating systems, just install DDR Professional on Windows OS compatible machines and connect your storage media on it to get back lost files. No special technical skills are required, even an inexperienced user can conduct their own data recovery anytime with the help of easy to understand software GUI interface. Free trial download is available to understand features and functionalities of the program before using it. Software easily works with various brands such as Seagate, Quantum, Toshiba, Western Digital, IBM, Sony, Transcend, Toshiba, SanDisk, Kingston, Olympus etc.